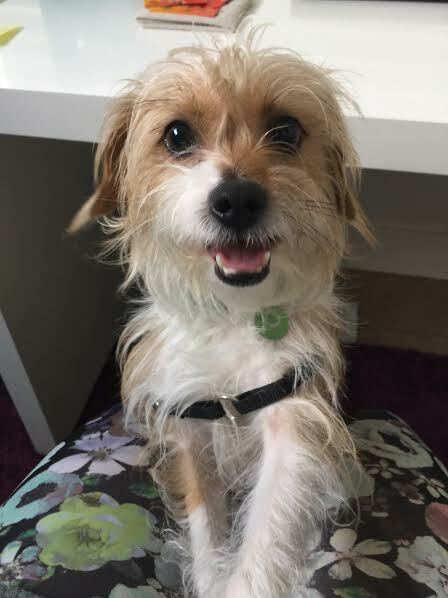 Hi friends, my name is Guppy and I am a 3 year old terrier mix ready to dance right into your heart! I am a happy boy that loves going for walks, playing with squeaker toys, and I am a dancing machine! Just turn on some 80’s music and I will throw up my paws and boogie down! I get along really well all people, but I would prefer a home without any young kids (12+). I have that typical terrier energy and I get along with dogs, just make sure they can keep up with me! I can also get along well with your cats too! So put that old record on, throw on those dancing shoes and lets tango into the night! I come fixed, vaccinated, micro-chipped and my adoption fee is $250. Please fill out an adoption application and we can set up a time to meet! I am staying in foster until the my perfect family comes along!Woof woof!